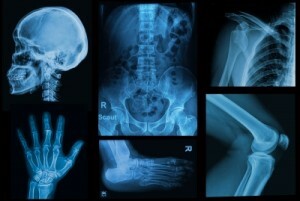 Could Antioxidant Treatment Reduce Arthritis Pain? Are you looking for a more natural way to deal with your rheumatoid arthritis pain? Some prescription medicines may make you feel foggy, cause stomach ulcers, or cause weight gain. However, recent studies have shown that more natural antioxidants may help reduce rheumatoid arthritis pain without so many side effects. Rheumatoid arthritis (RA) is an autoimmune disorder affecting the joints and other body tissues. In autoimmune diseases, the immune system wrongly attacks the body. Therefore, damage can be caused in the skin, eyes, lung, heart, and blood vessels. Also, damage to the joint lining causes deformity in the joints, such as in the hands. Because of this damage, daily tasks and simple movement can become more difficult and painful. Larger joints such as those in hips and knees may be affected as the disease progresses. However, nearly 40-percent of those affected by the condition have non-joint symptoms. The eyes, salivary glands, blood vessels, and nerve tissues are just some of the other body tissues that can be affected by RA. Other treatments for RA include steroids and disease-modifying antirheumatic drugs (DMARDS). Long term use of steroid though can thin bones and cause weight gain. DMARDS such as methotrexate can slow progress of the disease. A newer class of DMARDs called biologic agents, which include Humira and Xeljanz, work to reduce inflammation. However, these medicines may have side effects such as liver damage and increased risk of infections. A journal article in the Frontiers in Nutrition suggested that fiber-rich and antioxidant-rich foods may decrease inflammation in those with RA. Furthermore, it was suggested to get such benefits from some of the following foods and drinks. Other recent research has confirmed that antioxidant treatment may be helpful to those with RA. For example, a 2003 study talked about how the antioxidant defense system is weakened in RA patients. Therefore, researchers suggested therapy including standard drugs along with antioxidants to help reduce tissue damage in such patients. In addition to these studies, more recent research has also shown potential for antioxidant treatment of RA. For example, a 2008 study found that antioxidant therapy combined with lower doses of standard drugs may help reduce tissue damage. Due to these lower doses of prescribed drugs, such treatments may help reduce harmful side effects. Stop smoking since this activity can constrict blood vessels and cause inflammation in the body and its tissues. Limit alcohol consumption: If you do decide to have an alcoholic drink, choose phytonutrient-rich red wine that contains polyphenols such as resveratrol. Also, be sure to limit consumption to no more than 1 standard drink a day for women or 2 standard drinks a day for men. For example, a standard drink of wine is equal to 5 ounces. Take probiotics through fermented food such as yogurt or through a supplement such as Biovia 30 by Vita Sciences. Biovia 30 contains 30 million strains of diverse good bacteria that helps to strengthen your immune system. Probiotics can help restore good bacteria in your gut. When your body has more good bacteria, it makes it easier to fight off bad bacteria that may be damaging your immune system. Therefore, a stronger immune system can help fight off inflammation in the body. Furthermore, recent research shows a link between deficits in the intestinal microbiome and autoimmune disease. Although more studies need to be done, it is suggested that treatment of gut microbiota may be the key to improving effective treatments for such conditions as RA. Jaswal, S., et al. (December 2003) “Antioxidant Status in Rheumatoid Arthritis and role of Antioxidant Therapy.” Clinica Chimica Acta, 338(1-2): 123-129. Could common painkillers cause high blood pressure? When you take a medicine over the counter, you likely focus mostly on the benefits it can provide you. However, it’s possible to experience some harmful health effects from use of over-the-counter medicines. A recent study has found that some common painkillers used by those with arthritis may cause high blood pressure. Arthritis is the inflammation of the tissue lining the joints. It can cause pain, redness, and swelling as well as joint damage, if not treated. These symptoms can arise due to the rubbing of bone to bone together when the tissue lining the joints is worn down.The two most common types of arthritis are osteoarthritis and rheumatoid arthritis (RA). Osteoarthritis affects mostly the fingers, knees, and hips, while RA is an autoimmune disorder that affects hands, feet, as well as internal systems. 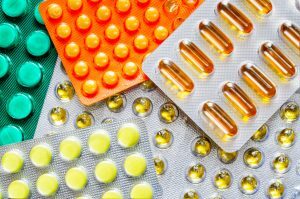 Many people with arthritis find relief with common pain medicines such as non-steroidal anti-inflammatory drugs (NSAIDs). NSAIDs, help to decrease pain by blocking the production of body chemicals that cause inflammation and swelling. Some side effects of taking NSAIDs can include nausea, vomiting, diarrhea, gas, and bloating. However, in some people, long-term use of NSAIDs can also cause high blood pressure. High blood pressure occurs when the systolic pressure of the contraction is around 140 or higher and the diastolic pressure, or the pressure in between heart beats, is above 90. A study in the European Heart Journal looked at over 400 patients with arthritis. Study subjects were given either the prescription pain reliever Celebrex, the NSAIDS naproxen or ibuprofen, or placebo. With the use of NSAIDs, both systolic and diastolic pressure were increased. Keep your weight down since extra weight can place unnecessary pressure on your joints. Losing weight through diet and exercise can release some of this pressure and prevent damage to joints that may occur with prolonged pressure. Exercise can reduce joint pain caused by arthritis. Low-impact exercises such as walking and water aerobics can aid in such pain relief. See your doctor regularly. Your healthcare provider can adjust medications or supplements as necessary to help reduce any symptoms you may have. Use pain-reducing supplements such as Flexova by Vita Sciences. Flexova contains powerful ingredients such as glucosamine and chondroitin, which can help support joint flexibility and ease of movement. Can Knee Crackles and Pops lead to Arthritis? When you walk up the stairs does it sound like popcorn popping? Do you feel swelling in those joints after extended movement or climbing up and down stairs? Snapping, cracking, or popping sounds in your knees may be an early sign of arthritis. Symptoms of such joint pain may come and go, but if untreated may worsen over time. Severe arthritis may cause permanent joint damage, chronic pain, and may make mobility painful and difficult. Therefore, it is important to treat joint pain as soon as you discover symptoms, no matter how mild they may seem. A recent study in the journal Arthritis Care & Research looked at 3500 adults ranging in age from 45 to 79 years old and at risk for joint disease. The study found that those middle to older aged adults who heard cracking in their knees often were likely to develop arthritis in the next year. For example, those that reported hearing their knee crackle “sometimes” or “often” were nearly twice as likely to develop arthritis in the next year as those who reported “never” (8% vs. 4.5%). Furthermore, those who reported hearing their knees crackle “always” were nearly three times more likely to develop the condition in the next year as compared to those who reported “never” (11% vs. 4.5%). Be sure to visit your healthcare provider if you experience joint pain. Not only can they provide medications that may help to relieve pain, but they may also be able to take x-rays and blood tests that could check to see if you may have arthritis. Omega-3 fatty acids such as those found in fatty fish, plant-based oils, olives, nuts, and seeds have been found to reduce inflammation in those people who experience joint pain. Glucosamine, a supplement made from the shells of crustaceans such as lobster, crab and shrimp, has been found to decrease joint pain and stiffness. Capsaicin, such as that found in some analgesics, has been found to help rub out mild joint pain. 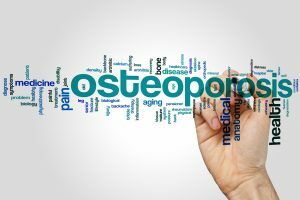 Osteovent by Vita Sciences contains a combination of joint-healthy supplements such as vitamin D, calcium, magnesium, vitamin K, and boron that have been shown to promote strong bones. You can also visit the Arthritis Foundation website for more information on joint pain research, treatment, and prevention. Joint pain in the knees, ankles, hips, or shoulders can indicate arthritis, damage to the cartilage that rests between your bones, making it hard to bend, twist, or kneel without suffering from immense pain. To relieve joint pain, it’s important to learn how to treat the inflamed areas at home, while also visiting your doctor to rule out serious injuries that may require surgery. What causes joint pain in the knees? Often, arthritic joint pain occurs in the knee when the soft cartilage of the knee cap becomes weak and fragile. Pieces of cartilage may become lodged into your joint area, causing severe aches and dull pain all around your knee area. Joint pain in the knees can occur because of a sports injury, poor posture, or occupations that require standing or sitting in one position for long hours. Symptoms include a constant ache in the front of the knees, limited movement and buckling. What are the best treatments for joint pain? First, see a doctor. You may need to take some x-rays. If there is extensive damage, then your doctor may suggest surgery. The most important treatments are the ones that you can do at home to reduce swelling, alleviate pain, prevent further damage to the knee and begin the healing process. The moment you notice the beginnings of pain in your joints, sit down, put your feet up, and put an ice pack on the inflamed area. This will reduce swelling and cut down on most of the pain. 2) Rub on pain relief cream. Use a safe, gentle non-irritating pain relief lotion that contains natural ingredients that soothe the muscles surrounding the joint and produce a cooling effect. Pain relievers (such as acetaminophen) and nonsteroidal anti-inflammatory drugs (such as ibuprofen) can go a long way towards relieving joint pain and swelling in the knees. 4) Build up the muscle. Visit a physical therapist to get a schedule of muscle-strengthening exercises that will help to speed up recovery and prevent further knee injuries. 5) Protect the swollen joints. It may help to wear a brace or tight-fitting sock around your kneecap to sustain good alignment. If you’re used to exercising regularly, then this is a good time to take a small break. Until you’re feeling much better, avoid bending down to pick something up or sitting down on the floor. 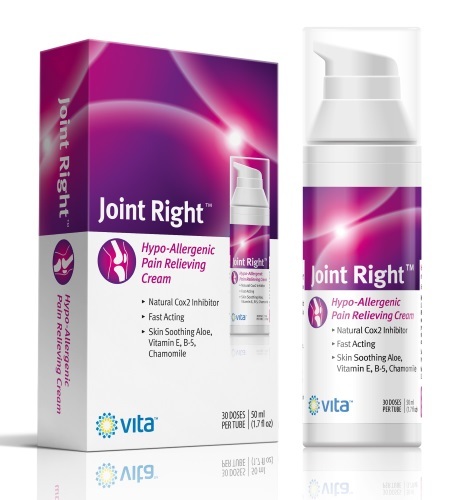 Discover the healing effect of Joint Right Pain Relief Cream. Do you have any other great tips for relieving joint pain in the knees, or elsewhere in the body? Please feel free to comment below.